What is Back Pain and How Can Chiropractic Help? Acute or short-term low back pain generally lasts from a few days to a few weeks. Most acute back pain is the result of trauma to the lower back or a disorder such as arthritis. Back pain from trauma may be caused by a sports injury, work around the house or in the garden, or a sudden jolt such as a car accident or other stress on spinal bones and tissues. Symptoms of back pain may range from muscle ache to shooting or stabbing pain, limited flexibility and range of motion, or an inability to stand straight. Chronic back pain is pain that persists for more than 3 months. It is often progressive and the cause can be difficult to determine. Chiropractic adjustments can help relive the symptoms of back pain. Bailey Chiropractic provides back pain relief for High Point, Greensboro, Jamestown, Deep River, Archdale, and surrounding areas of North Carolina. Most low back pain can be treated without surgery. Treatment involves using over-the-counter pain relievers to reduce discomfort and anti-inflammatory drugs to reduce inflammation. The goal of treatment is to restore proper function and strength to the back, and prevent recurrence of the injury. Medications are often used to treat acute and chronic low back pain. Effective pain relief may involve a combination of prescription drugs and over-the-counter remedies. Although the use of cold and hot compresses has never been scientifically proven to quickly resolve low back injury, compresses may help reduce pain and inflammation and allow greater mobility for some individuals. Bed rest is recommended for only 1–2 days at most. Individuals should resume activities as soon as possible. Exercise may be the most effective way to speed recovery from low back pain and help strengthen back and abdominal muscles. In the most serious cases, when the condition does not respond to other therapies, surgery may relieve pain caused by back problems or serious musculoskeletal injuries. Dr. Bailey has extensive experience and education in the treatment and relief of back pain through chiropractic adjustments. Most patients feel relief from their back pain symptoms after the first visit. If you are experiencing back pain symptoms, contact Bailey Chiropractic Centre today to schedule your chiropractic examination. 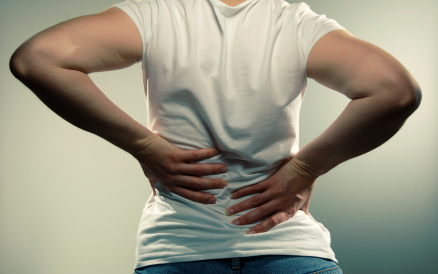 We have helped many individuals experience relief of back pain symptoms and can help you.